Happy first of May and Feast of St. Joseph the Worker! 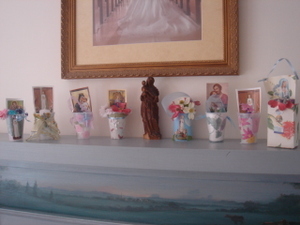 Some of you may remember last year's May series, Crafts, Crownings, and Celebrations, begun on the Feast of St. Louis de Montfort, 2006. 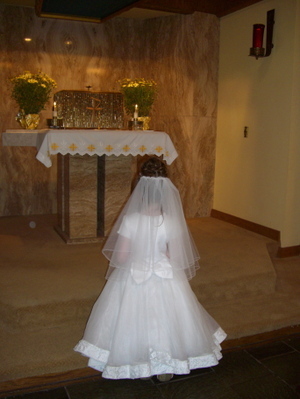 This year's celebration began even more meaningfully with Marie's First Holy Communion on St. Louis' Feast. 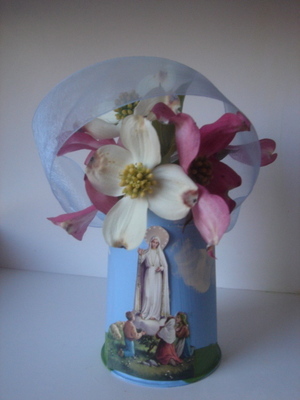 This year, we have done a variation on this theme with Marian May Cones. 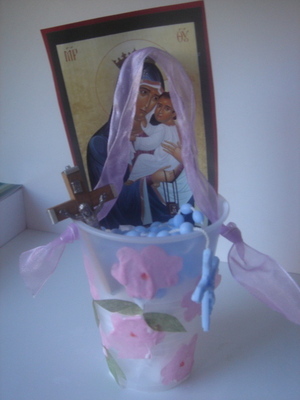 Like last year's plastic cups, they are simple and inexpensive to create using readily available materials. 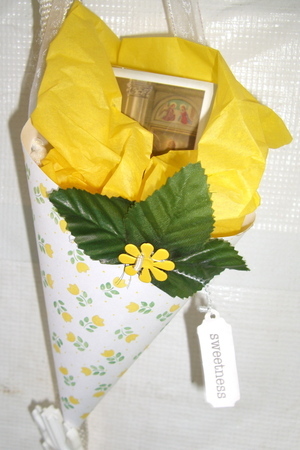 Margaret made this bright and cheery cone especially for Marie whose favorite color has always been yellow. Right away, I dubbed it the Sweetness and Light cone (note the word "Sweetness" on the tag). Meredith, if I could have brought you to Long Island this weekend, I would have given one exactly like it to you! 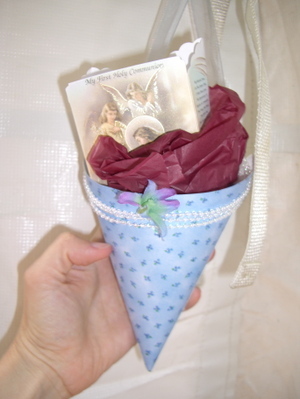 My computer time is up, but we will be posting detailed instructions for making Marian May Cones here very soon, along with a new series of "Crafts, Crownings and Celebrations" for May 2007. Our May altar will be ready for tomorrow's Crowning, and Marie's Communion tent remains outside to shelter Our Lady and welcome the guests from our local homeschooling group. Happy May Day, dear friends! A Rosary is being said for all of you today. Our Lady, Queen of the May, pray for us! 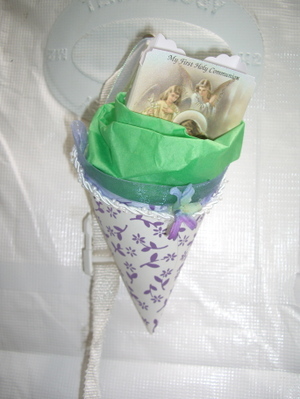 Amended to add: Christine at Memories of a Catholic Wife and Mother made beautiful May cones last year! Lovely, Christine! Oh my, the baskets are beautiful! 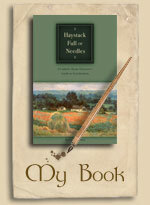 Each one, so distinctly lovely, just as the little hands that made them. Happy first of May, dear Alice! Alice, these are so amazing!! 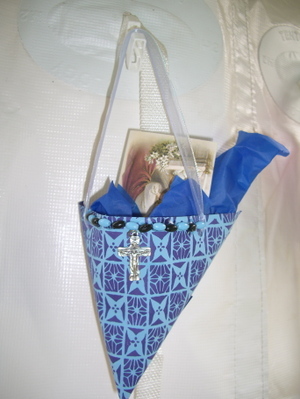 And the amazing thing is that my plan for our May Baskets this year was a "cone shaped" basket, sort of Victorian-style, and here you've made them so much more lovely that I could even imagine!! I am honored that you've named one after me sweet friend, you are just too much!! Love and Hugs and Happy Feasting for May to you all!! Congratulations to your angelic first communicant!! They are just beautiful, Alice! 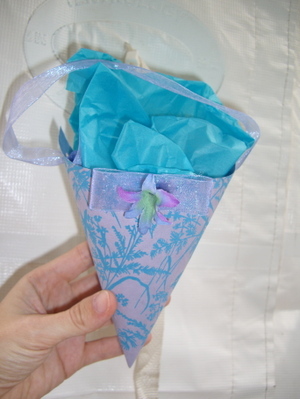 We are busy making our traditional cone-shaped May Day baskets again this year. Yours are beautiful! God bless your First Communicant! What a wonderful gift! These are beautiful, Alice (and girls). We are planning to make a few of these ourselves later today! They are wonderful! I've never made these before but am thinking about giving it a try. Thank you for the lovely idea, Alice. Thank you so much for another beautiful idea! Have a blessed May. We made these with some friends today! They turned out so beautiful. Unfortunately I forgot my camera! But we had a great time. Thanks so much for this and all of your wonderful ideas. They are so beautiful! You never cease to amaze me. I really love the first picture of beautiful Marie! You must be so proud! I love this idea! The baskets are so lovely! 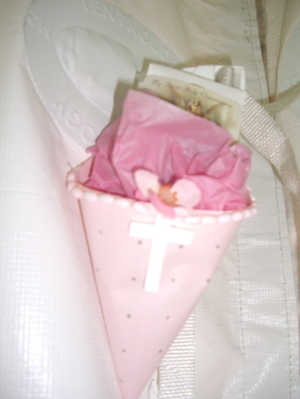 We made 40 of these, and just didn't have the energy to make handmade Spiritual Bouquet cards. Since we wanted to include them, I went to a site where one can create free downloadable business cards for girls, and chose logos and printing appropriate to the theme. 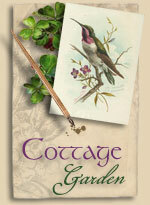 (A flower garden, with text in pink. 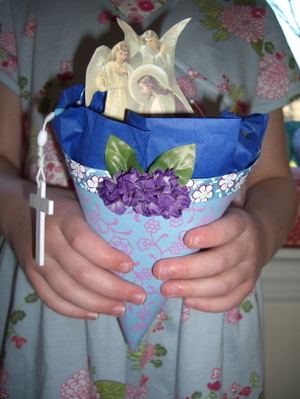 We used the "Company name" box to say "A Spiritual Bouquet" and the "contact info" box to say "I will remember your intentions on May ---, 2007." All dd had to do was fill in the date and sign her name. They turned out remarkably well. Thank you for the pictures and ideas!! We made some for family and my kids loved delivering them secretly. We made one for a little different purpose. 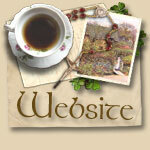 Please come take a look and thank you for the wonderful inspiration!